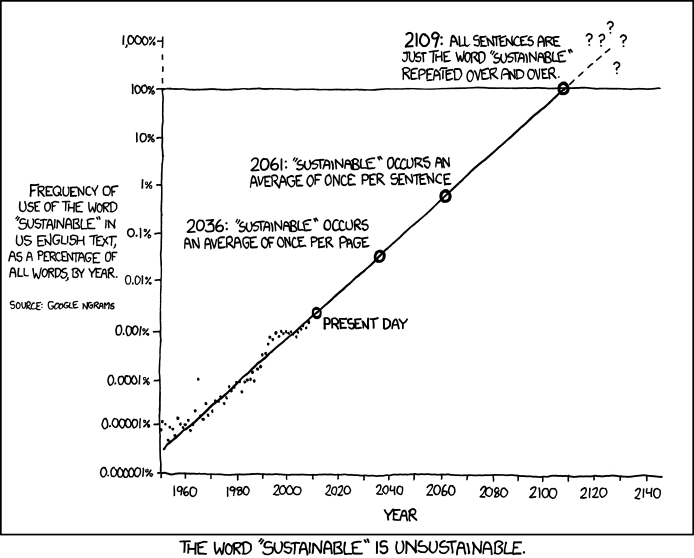 However, today people use the word sustainable instead of saying green, even though sustainability is much more than just a new form of environmental protection. It is actually a multidiscipline in which you can talk about anything between social justice, economic viability and of course environmental protection. My journey of discovery began at a pretty early age. Since I was a kid, I always enjoyed watching nature documentaries. I loved animals, and I loved how everything fit so nicely together in an ecosystem. I can still remember an old BBC documentary about the amazon area that gets flooded for a few months each year with the monsoons. This area is also the home of a blind dolphin which for some reason helps the locals catch fish. Anyway, these programs always ended with a message: environmental damage is bad. So naturally, I became a young advocate for the environment. This however didn’t mean I was going to become an ecologist. During the first years after high school, when I went to yeshiva and after, I was pretty sure I’m going into either computer animation, or virtual reality – which was very popular back then. Then my cousin told me about a biology course she was taking at the Open University, and I knew that that was it! I took a look at the book she got every month from the openU, which came in a plain cardboard box, and they looked really interesting. And so, I became a biology student at the openU, not thinking about an actual vocation, just enjoying the ride. When I moved on to Bar Ilan university to finish my degree, I got to think more and more about the environment, but I took a more pragmatic approach – I thought, if people felt it was more profitable to be green, then they’d do that for sure. I thought that if you could find a green solution to the energy crisis, it’d be a big step forward. I’d decided that for my master’s I’d focus on biofuels. Back then I didn’t realise I had a very simple mindset, looking for simplistic quick fix solutions. It took about two years of getting to know the biofuel field from the inside, and a lot of reading, for me to realise that there is something wrong about the way we analyse and manage our problems – even if it’s based on scientific findings. This western, masculine way of fixing things with a band aid is only good for simple problems – not for complex global issues. For that you need to take into account as much information as possible and then let intuition kick in. The idea that humanity must manage its resources in a humane, yet economically viable way came to me during meditation, though this moment was the culmination of years and years of academic study. How disappointed was I when I learned that this concept is not so very new in Israel, but that for some reason, natural scientists never talked about it, while planners and geographers have been talking about it for a decade already. And that was how I became a natural scientist studying what is considered a humanities subject. If you asked me today, what do you do, I’d still find it hard to explain, but I’d try to put it simply nonetheless; Sustainability is about using what resources you have in a responsible, humane way, always thinking ahead, but still enjoying the present.